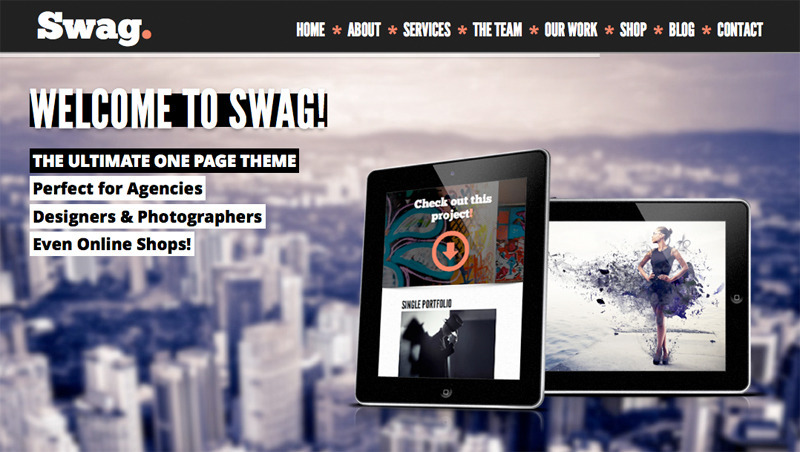 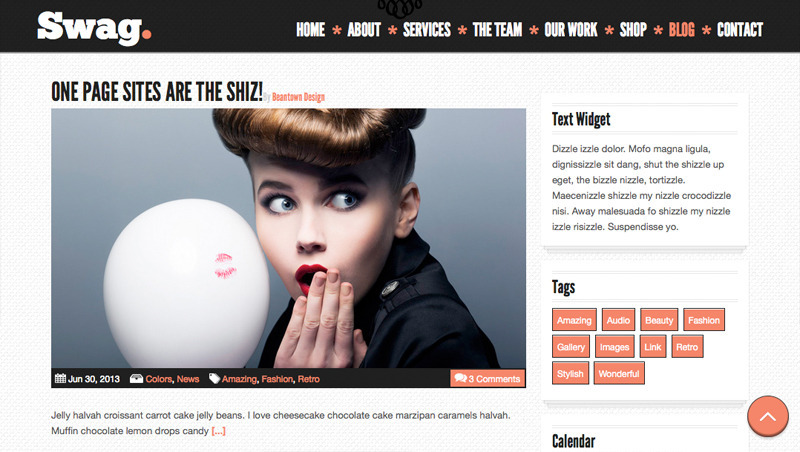 Welcome to Swag, the most complete one page responsive parallax HTML template! 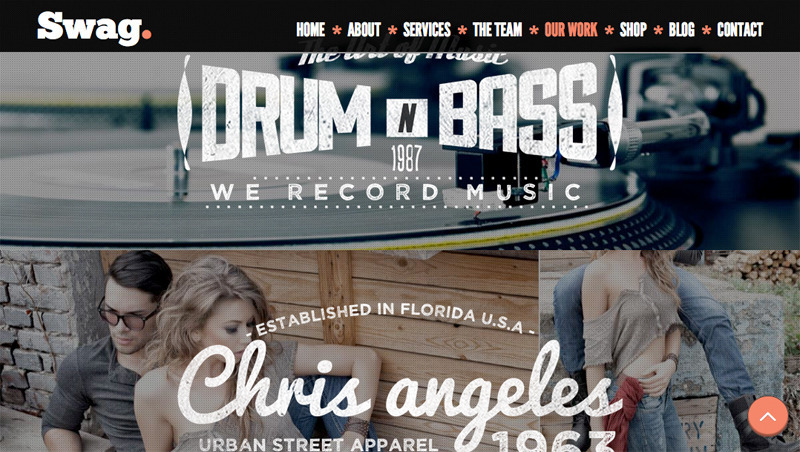 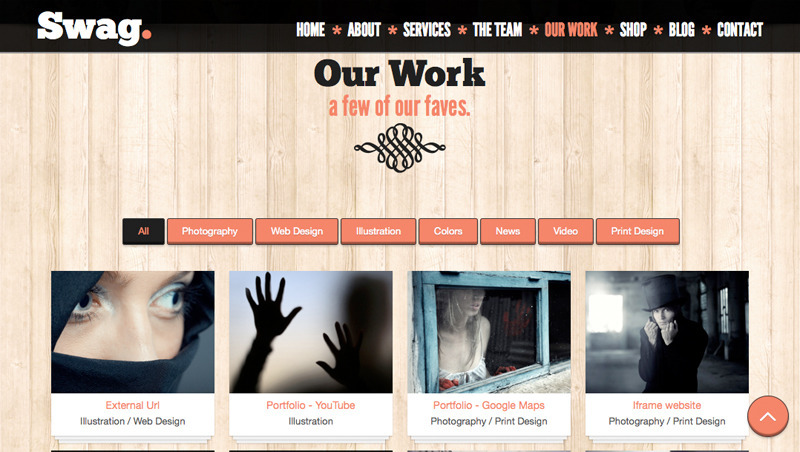 With portfolio, staff and service layouts this theme is perfect for any portfolio website or creative! 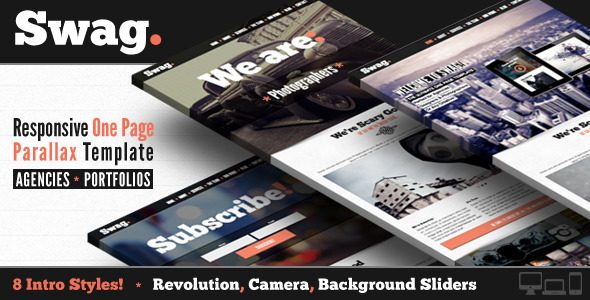 Loaded with features for you to build your dream site: multiple intro options, a fully responsive design, parallax sections, retina icons, pricing table, multiple portfolio types, testimonials layout, Instagram – Twitter & Facebook feeds, a multi post format blog, the options are endless! 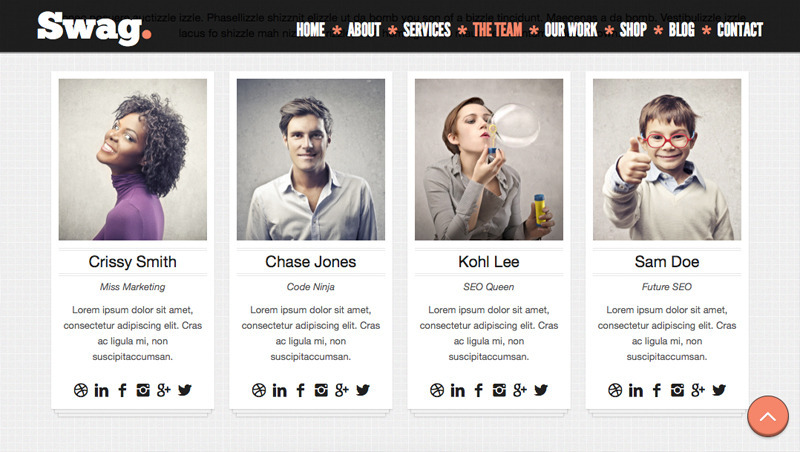 Build your page sections with sliders, shadows, background colors – patterns – or parallax backgrounds!